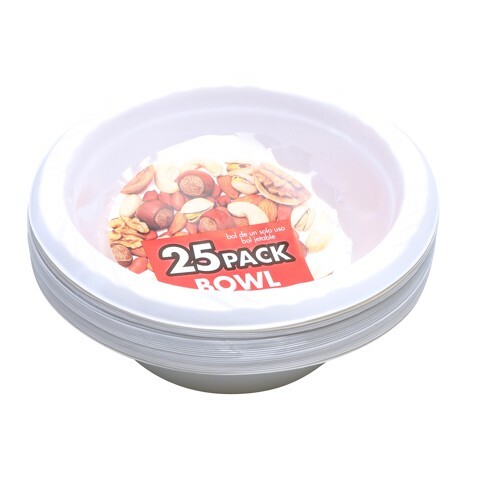 Party Bowls Nuts Wht 25Pk. Outer Diameter 12cm l Inner Diameter 10cm l Height 4cm. White. PS. 135g Packaging: OPP Bag with Colour Insert.